I created this great white shark for my son's 14th birthday. 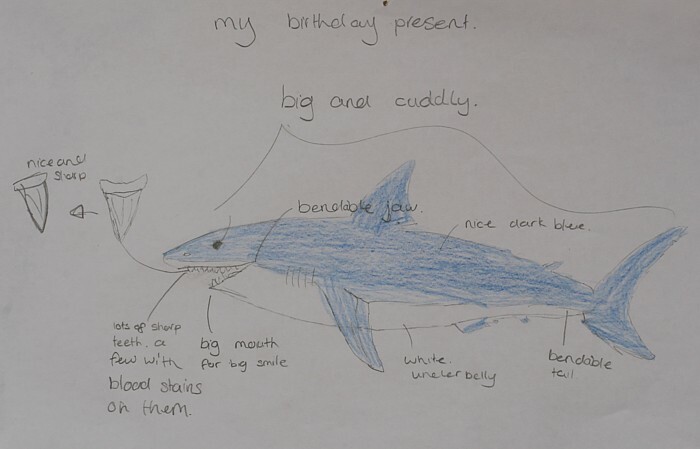 He provided me with an annotated drawing to help me design his ideal shark. 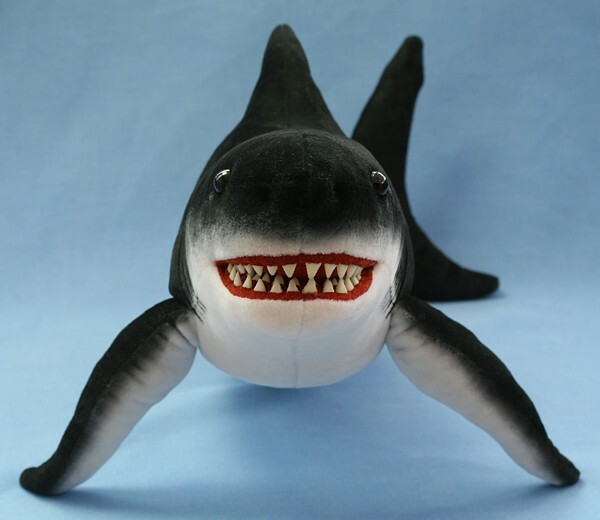 The most important attributes were a flexible tail, an open mouth with lots of sharp teeth, lol! 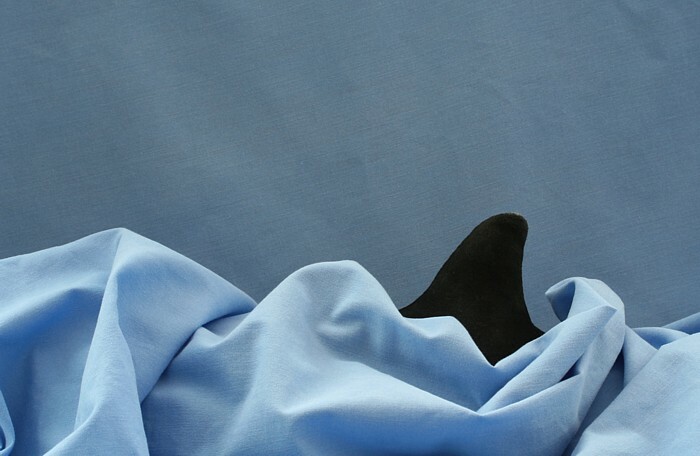 Since I haven't made any claspers this shark is female. 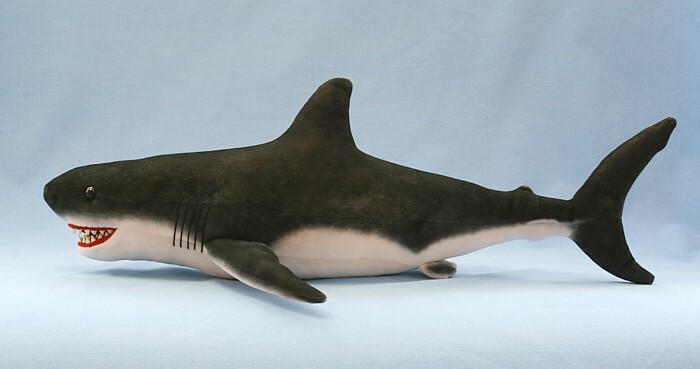 She has been created from airbrush shaded white cashmere fabric with an ultrasuede mouth. Her filling is polyfil with a small bag of glass beads for added weight. 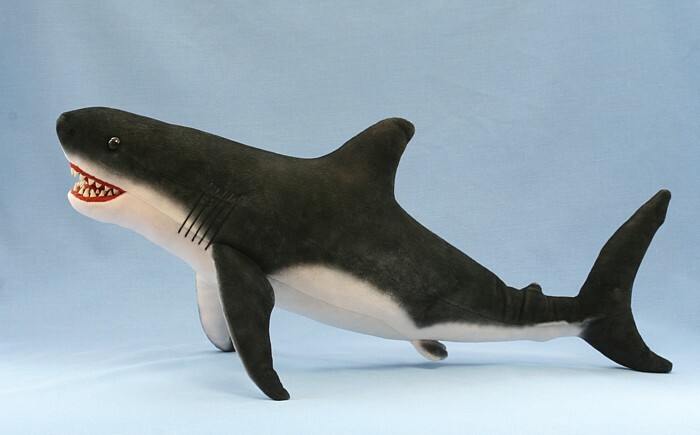 She has a wired jaw, body/tail and pectoral fins for strength and poseability. Her eyes are black glass and the gills and nostrils have been embroidered with perle cotton. I decided against giving her blood stained teeth but chose to go with glow in the dark teeth instead. :D They were created out of Fimo polymer clay. 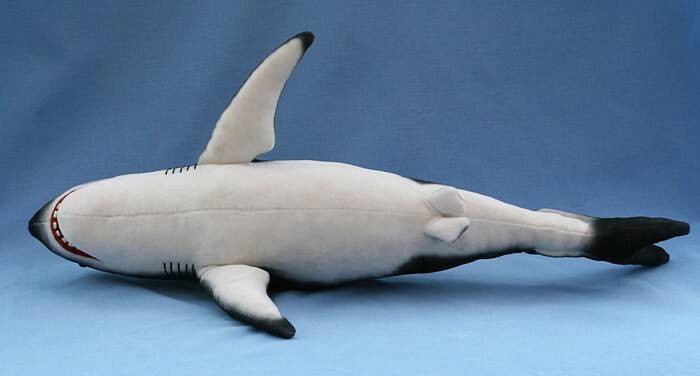 She measures 18 inches in length and is 6 inches deep (to the tip of her dorsal fin).